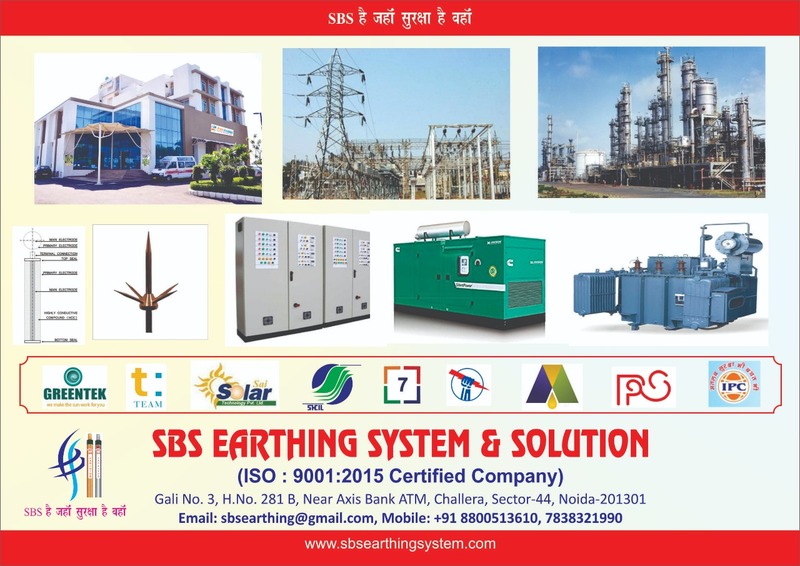 We “SBS EARTHING SYSTEM & SOLUTIONS” are a leading manufacturer and supplier of premium quality array of Earthing Electrodes, Lighting Arrester, Earthing Chemical Compound, Earthing System, Earthing Chamber, Manhole Earthing Pit, etc. We are a Sole Proprietorship enterprise which is incorporated in the year 2014 with a motto of providing world class earthing products as per the global set standards. Offered earthing products are manufactured as per the global set standards from quality assured components and the latest machines. We are a client-oriented firm and strive hard to provide our clients the best class earthing products in numerous specifications. We are a leading company in this industry and are affianced in providing qualitative range of earthing system products which we provide in several specifications within limited time period and at market leading rates. Due to the following key factors, we are able to achieve an incredible success in this sector. Earthing requirements differ according to the different client needs.